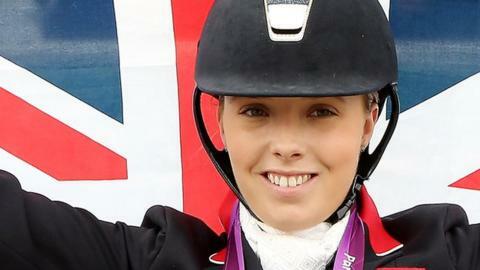 Britain's Sophie Wells won individual Para-dressage gold at the World Equestrian Games in North Carolina. Double Paralympic champion Wells, 28, scored 75.429% on her horse C Fatal Attraction to take the Grade V event. Dutchman Frank Hosmar claimed silver with 73.167% ahead of German Regine Mispelkamp (71.452 %). But there was no 15th world title for GB's Lee Pearson who was out of the medals as Denmark's Stinna Tange Kaastrup won the Grade II competition.